A couple years ago we decided to throw a small 50-person party for select clients and prospects. Well, one thing led to another and that small party turned into the coolest event at the Marketo Summit with almost 300 party goers. As you prep next years budget, make sure you know the ins and outs, or the anatomy, of throwing a killer party! Trade Show Booth or Party? Renting a kiosk or booth at an event like the Marketo Summit brings major exposure to your brand. On the flipside, booths start at approximately $15K and before incidentals. If you scan 75 names as I know one vendor did, that’s roughly $130+ per name—-not inexpensive from a cost-per-lead perspective. Of course, trade show booths offer many other branding benefits so that was another consideration. In an ideal world, sponsoring both a booth and hosting a party is great but of course, not necessarily budget friendly. The Goal - Make a splash with the brand and do something memorable. 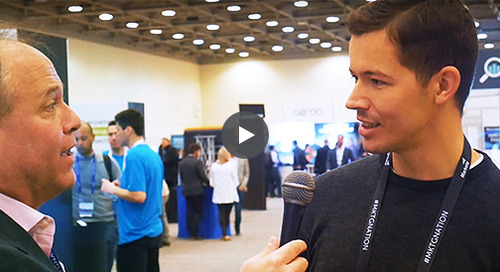 Event software provider Splash shared a lot of party best practices with us. Splash is known for helping major brands like Spotify, Red Bull and GoPro throw killer events. Their philosophy rubbed off on us–focus on the the experience. The decision was made–throw a small party for roughly half the investment with the idea of maximizing impact with high quality targets. However, this “small” wouldn’t stay small for long. Look for a venue that is set up in a way where the investment decreases per person - and then get more people to attend! Put it this way, if hosting 100 people is $28 per person but hosting 250 people is $15 per person it makes sense to invite your neighbors! Within a week of nailing down the venue with scale, other complementary brands jumped on our party train including: knak, Leadspace and rybbon. We all ended up playing vital roles in the party’s eventual success. The end result that our original, small 50-person budget jumped to 300 people when others got involved—now that’s a party. Throwing a party requires numerous solutions. Here’s the approach we took. Since we were using knak templates, we decided to use Marketo to power event registrations. Marketo worked great as registrants entered Marketo in real-time and all sponsors were updated nightly with registrant information. We also automated all the reminders and follow-up communications in a trackable fashion. With the registration forms supporting trackable links, we were able to get instant feedback on where sign-ups were coming from. If we truly wanted deeper analysis and more event functionality (Ticketing, seating, more design options, etc. ), we would have considered using a standalone solution that have some integration with Salesforce and/or Marketo. How about providing a little incentive? Co-sponsor rybbon showed off their digital gifting capabilities by giving people incentive to tweet photos and updates to a specific hashtag. Anyone who did got a free RedBox movie. Leadspace helped with post show data appending so we all could target prospects more efficiently. This allowed us to create a shorter form to increase party registrant rates. In the end, Leadspace enriched 70% of the leads and 97% of the companies with information like title, role, company size and more. After looking at numerous free tools to display throughout the bar, we went with Show Tweets. Why? Show Tweets shows pictures within the feed which is something many other Twitter walls didn’t do. The end result is the party was amplified socially to maximize buzz. Events usually don’t promote themselves so here was our 3-part marketing plan. Pre-event, each of the four sponsors sent personal invites to top prospects and customers. That personalized process generated about 100 registrants in two days.We all then began sending targeted emails to our lists as phase two that drove many of the other party registrants.Email marketing also included post show communications recapping the party. People LOVE photos, especially in funny furry coats. We hired photographers to capture the moment and made sure party goers received all the photos socially and via email. This kept the event and brand exposure going even after it was over. Our guestimate for an attendee-to-registrant ratio was 40%. Too bad we didn’t bet on that because out of our 700+ registrants, 266 attended.The buzz factor was fantastic as the venue helped drive a unique experience that people are still talking about. For the most part, we experienced success with all of the pre-marketing. In fact, the pre-marketing worked so well that we had to add budget to support more party goers. A Little Over Budget. Not shocking but people like to drink when in Vegas. We planned on 2 drinks PP considering our party was just 2 hours. That number was more like 3.5 and put the party over budget at the end of the night. A Slow Check-in to Start. Before the event, we decided to use a combination of a printed list and Marketo’s mobile check-in app to check in party goers. Within the first few minutes, we realized that we were understaffed for check-in and didn’t set up enough mobile devices. With the volume of people, check-in was just too slow. The solution..after some quick thinking, we switched to the knak’s Marketo Summit event scanner to scan people as they entered. We then matched up the data after. Waitlist Process. We started wait listing people when we hit 600 folks. On the day of the event, we emailed folks letting them know they could attend as we opened more space at the ice bar. This “waitlist” process may have hurt attendance a bit as the late notice may have caused people to make other plans. This party was a major success in terms of driving brand awareness - instead of reaching 75 or so folks at a trade show booth for $10-15K, we invested about half of that to reach 800 marketers. Translating those attendees to revenue is more of a long term process - stay tuned! Working with smart partners who each brought something to the table was another key success. And, of course, once you throw one great party, people start asking “What’s Next?” Yep, we are already working on this years venue for Marketo Summit so stay tuned.